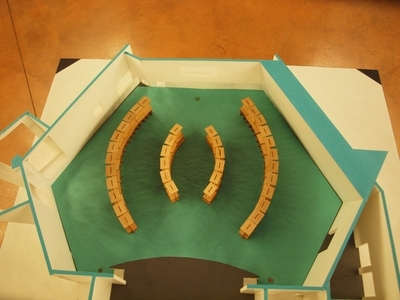 Panoramic picture of installation. Jack Adams Hall, Cesar Chavez Student Center, San Francisco State University. May 12, 2011. Photo: Kevin Funk. Still frame from time-lapse video of installation. Video: Kevin Funk. 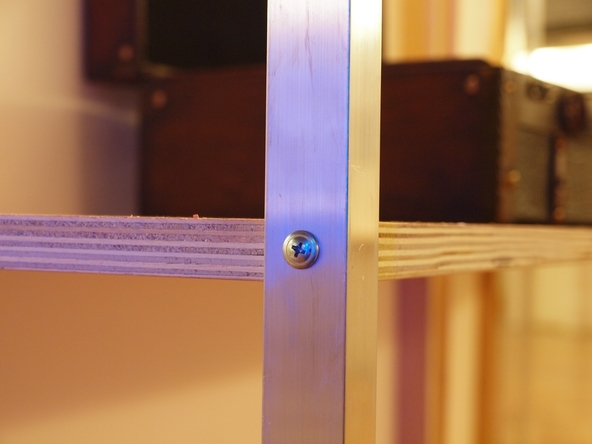 You can see the full video below inside the project description. 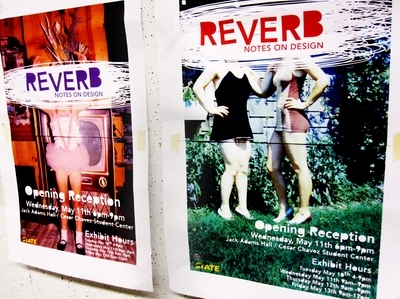 Reverb posters. Vintage Kodachrome slides courtesy of Angela Baney. Reverb cut out signs used during the opening. Another view of the installation in Jack Adams Hall. Reverb floor plan model. Model by Kimberly Covey. San Francisco State University. Department of Design and Industry. 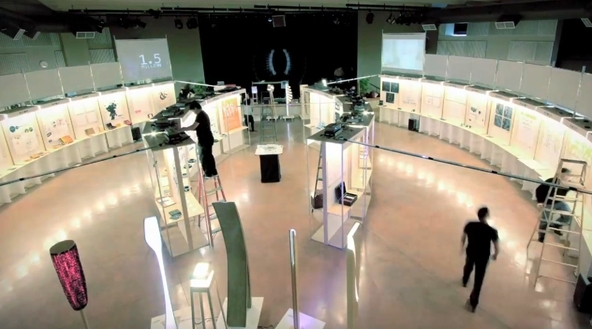 Reverb Time Lapse Video – By Kevin Funk (7'20"). Music by Mauro Panzeri. 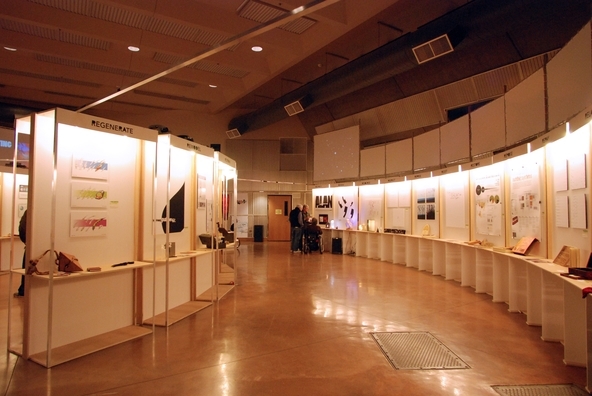 The 22nd Annual Design and Industry Student Design Exhibition. Opening night was Wednesday, May 11, 2011. Exhibit design and fabrication by the Information Design 2: Exhibits class students, taught and coordinated by Pino Trogu, Spring 2011. 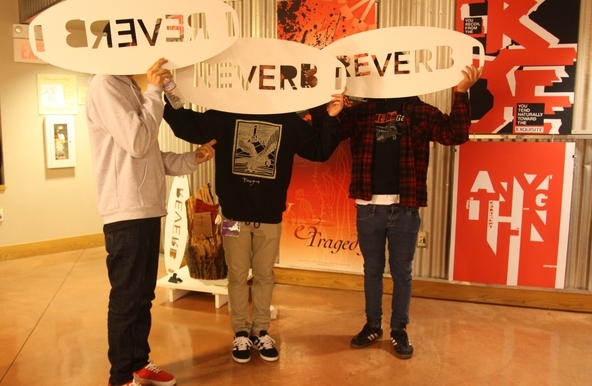 Click on the URLs below to see more videos, a large version of the panoramic picture of the exhibition, and more reverb photos on flickr. Reverb Panoramic Pic by Kevin Funk (jpeg image 2652 x 922 pixels, 2MB).